August 29, 2013 August 29, 2013 Nefer Khepri, Ph. D.
The Importance of Expressing Gratitude. 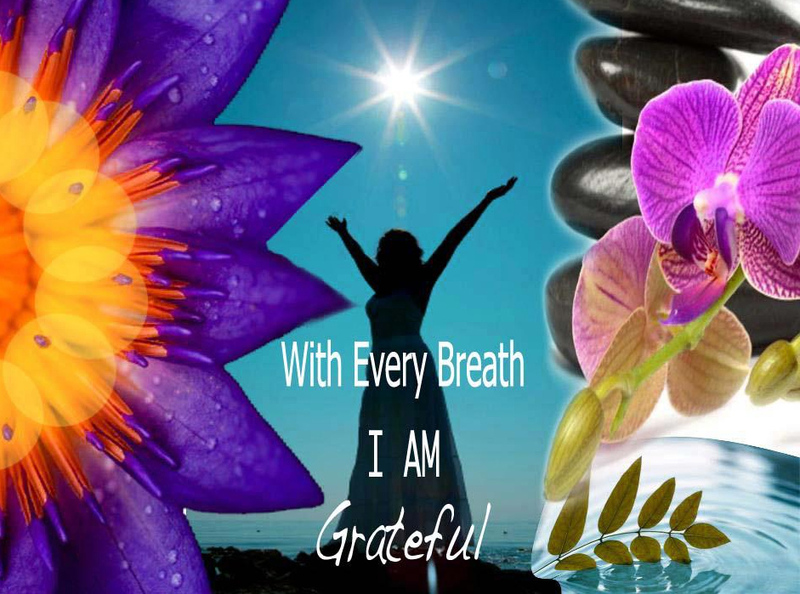 In my Facebook group, “Magickal Musings ~ Spiritual Sharing & Gratitude,” we express our daily gratitude for the tiny & big things of life. I have meant for a long time to start posting my daily gratefuls to my blog, but I’m usually incredibly busy in the mornings because that’s when I start my candle work for the day for clients & get my readings all lined up for the rest of the day. Today is a nice, slow day, so I have time, but expect to see more of my gratitude lists showing up on my blog in the future. 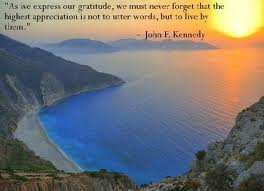 The expression of gratitude is very beneficial to everyone. Firstly, it helps to lift your mood. You may be having a really crappy day (hey, even I have crappy days, like this past Monday, which was horrible! ), but if you can force yourself to take about 2 minutes to list just 3 things for which you are grateful, you will see how that simple act can help to lift your mood & improve your outlook. If you make this a regular practice, then you’ll see how your entire outlook will improve. I have found that things that bothered me in the past now have no impact whatsoever. Plus, I feel stupid for having allowed them to bother me in the first place. Another huge benefit that results from expressing gratitude is that it shows the Universe you truly are thankful for the things in your life – even the tiny things (like that first cup of coffee in the morning or the sound of the birds chirping). Once the Universe sees that you are grateful for all these tiny things that most people deem to be inconsequential and of no importance, the Universe then thinks to itself, “hey, this person is really grateful & is expressing their gratitude in writing. I think I’ll do THIS for them!” And then something great happens. Suddenly, from out of nowhere (or so it seems), blessings begin to flow to you. Things suddenly begin to work out. Your spouse is suddenly happier & in a better mood after work. Your kids start to behave better. Your little drama queen teenager finally gets over her drama queen phase (or so I hope & pray with all my heart! ), and so on. The expression of gratitude opens cracks, windows, and doors that allow new blessings to enter your life. You will see this for yourself if you just begin the daily practice. Everyone, I don’t care how busy you are, has 2 minutes a day to spare. My suggestion is you find yourself a nice blank journal. Don’t be afraid to write in it. I have some lovely ones in which I’ve never written a word because I don’t want to ugly them up! Each day, or maybe just 3 times a week (but I recommend no less than 3 times a week), sit down with a cup of coffee in the morning, or at night maybe with a glass of wine or Coke. Think back on your day. If in the morning, think back on the day before. List 3 things that happened or that you experienced for which you are grateful. That’s it. Just 3 things is all it takes. Then you have your first of what will be many gratitude lists and those blessings will begin to flow. If you’d like to join us in my group here is the link. Please be aware my groups are all places of love & light. I don’t allow anyone other than myself (as a business person) to advertise their services, nor do I allow any negativity. We all get more than enough everyday. This group is filled with a lovely bunch of people who are caring, compassionate, & can be wonderful friends to you. I don’t allow any type of negativity to mar that for group members. We also discuss metaphysical & paranormal topics, & we have a Positive Energy Circle through which group members can request prayer and/or healing for anyone in need, and that person does not need to be in the group or even on Facebook for us to help out. We have been blessed with some true miracles in this group. Please do check us out if you’re on Facebook. I am VERY GRATEFUL & THANKFUL for having found the 2 videos of my daughter when she was just 9 years old that I thought were lost when I gave her my old iPhone to use in place of her broken iPod. She swiped the phone clean so all the pics were gone & I thought lost forever. But no, they’re on my newer phone where they’ve been safe all along. I am grateful my stomach is working correctly again. I won’t go into the gory details! I am grateful for the gourmet cookies my grocery store makes. They are so decadent! I’m also grateful for grocery stores that make food procurement so simple and fast. If I had to hunt for food or grow my own I’d be seriously in trouble & also very, very thin! Those are my gratefuls for today. What are yours? Why not start your gratitude journal today? You’ll be glad you did. I can guarantee that. Previous Deck Review: The Egypt Cards. Next Should “Gifts” Be Given Freely?